SEATTLE – A multi-center study led by Fred Hutchinson Cancer Research Center has found that high-dose supplementation with both the trace element selenium and vitamin E increase the risk of high-grade prostate cancer. But importantly, this risk depends upon a man's selenium status before taking the supplements. 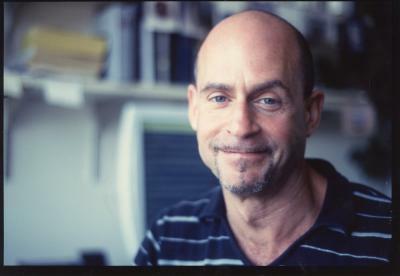 Alan Kristal, Dr.P.H., is on the faculty of the Public Health Sciences Division at Fred Hutchinson Cancer Research Center in Seattle. "Many people think that dietary supplements are helpful or at the least innocuous. This is not true," said corresponding and first author Alan Kristal, Dr.P.H., a faculty member in the Public Health Sciences Division of Fred Hutch. "We know from several other studies that some high-dose dietary supplements – that is, supplements that provide far more than the daily recommended intakes of micronutrients – increase cancer risk. We knew this based on randomized, controlled, double-blinded studies for folate and beta carotene, and now we know it for vitamin E and selenium." "These supplements are popular – especially vitamin E – although so far no large, well-designed and well-conducted study has shown any benefits for preventing major chronic disease," Kristal said. "Men using these supplements should stop, period. Neither selenium nor vitamin E supplementation confers any known benefits – only risks," he continued. "While there appear to be no risks from taking a standard multivitamin, the effects of high-dose single supplements are unpredictable, complex and often harmful. Taking a broad view of the recent scientific studies there is an emerging consistency about how we think about optimal intake of micronutrients. There are optimal levels, and these are often the levels obtained from a healthful diet, but either below or above the levels there are risks."